We all know Nail Art is the biggest thing to hit the internet (namely Tumblr) since NYAN CAT but I often find myself not bothering buying into the fancy pants nail art pens and gadgets because they seem (to me) like an expensive hobby! Nail varnish of your choice! 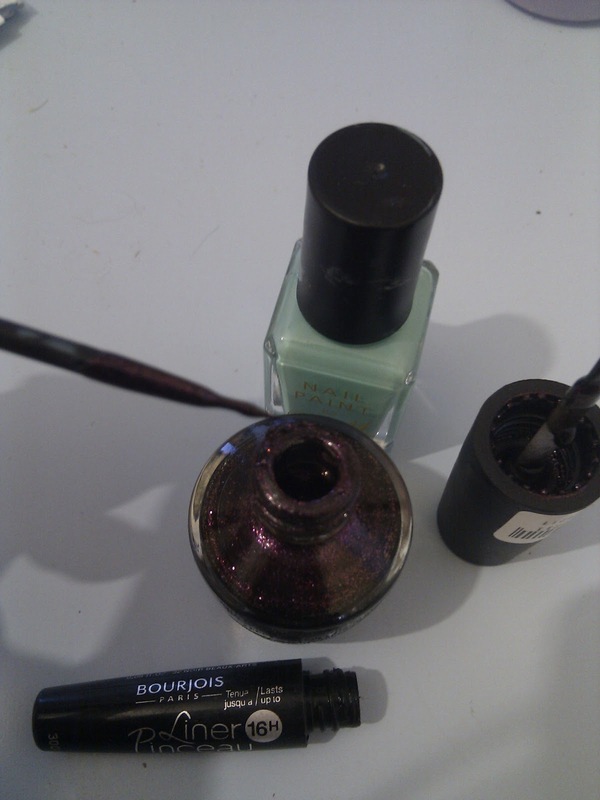 Then choose the colours you want to use, the great bit about this is that you already know what quality to nail varnish is that you’re going to use so can trust it’ll last a while…. 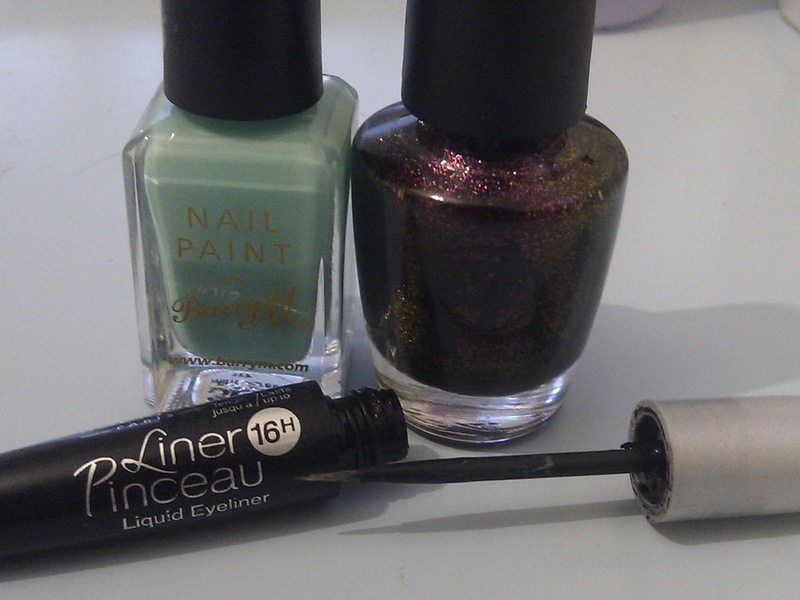 Because it’s nearly Christmas I thought I’d go for Barry M Mint Green and W7 Metallic Saturn which is a lovely extra sparkly dark red…. 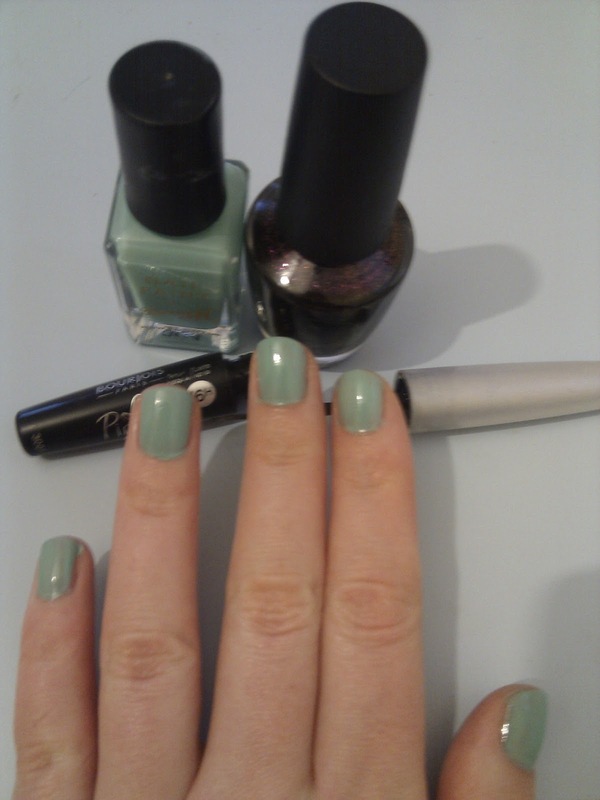 Just paint your nails in your base colour as usual…. 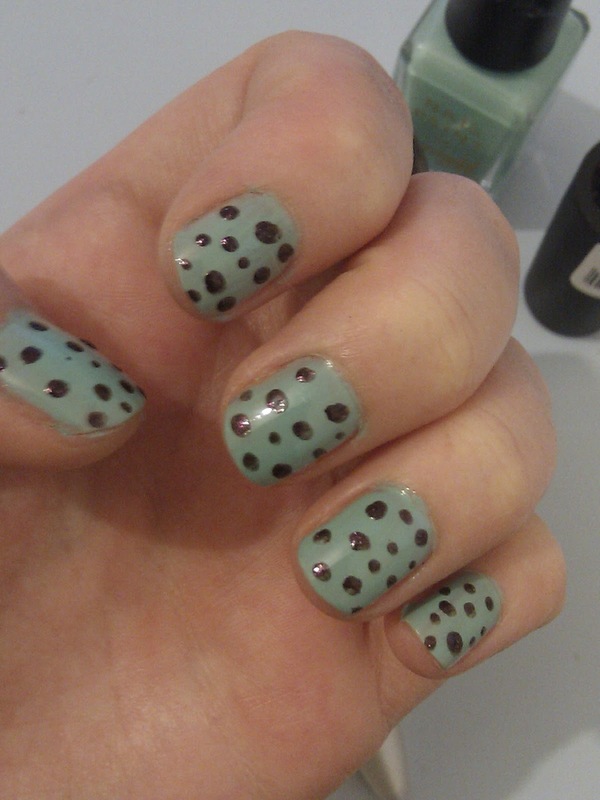 Now, I wasn’t feeling very creative so I just went for a few dots. 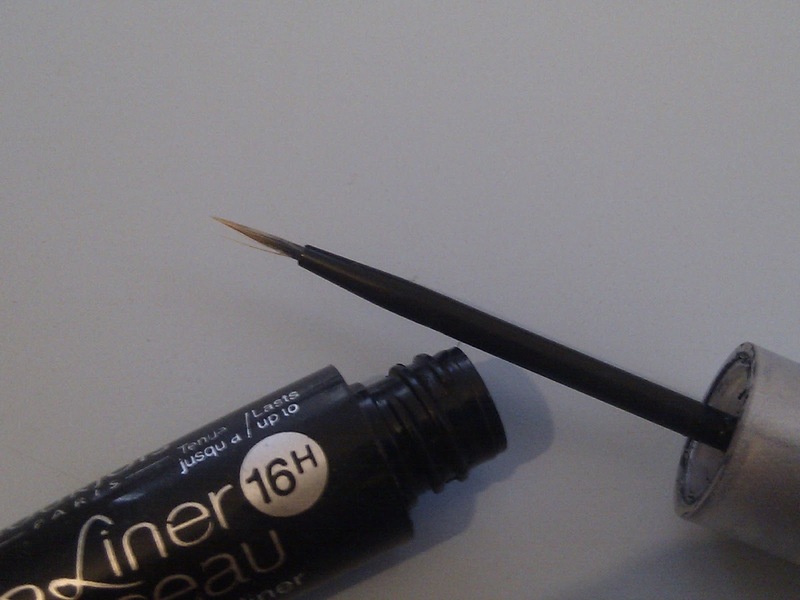 Dependant on the eyeliner brush you’ve upcycled you can do more delicate details or bigger dots. It’s depends how arty and creative you can be! 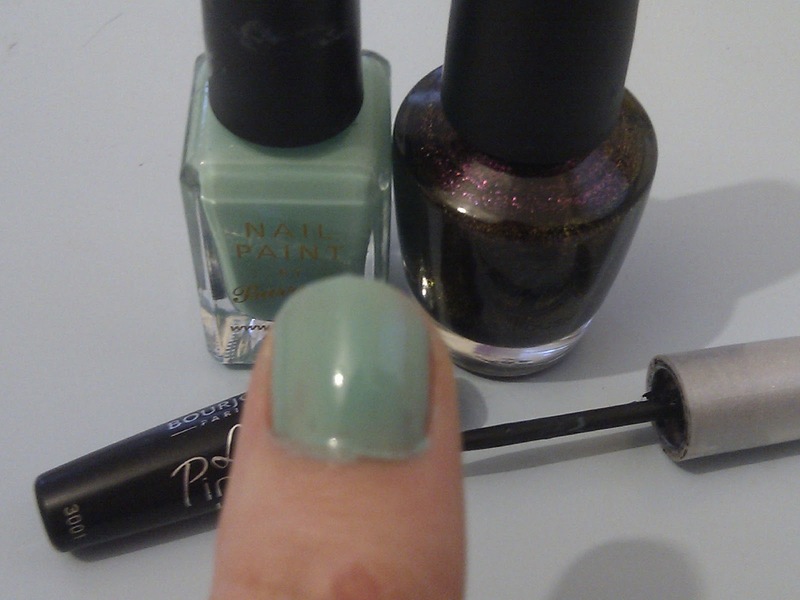 Another tip is to put a splash of nail varnish remover into the empty liner tube, that way it wont dry the bristles hard and you can re-use the brush on whatever colour takes your fancy next time! once again apologies for the poor quality images, using my phone at the moment whilst my camera is dead! Previous Post Watch ya do about awesome.